£96.00 for the first eight sessions, then decide if you want to join the block of seven sessions continuing until Easter. Maximum twelve people. Dates of first eight: Jan 16th, 23rd, 30th, February 6th, 13th, 20th, 27th, March 6th. 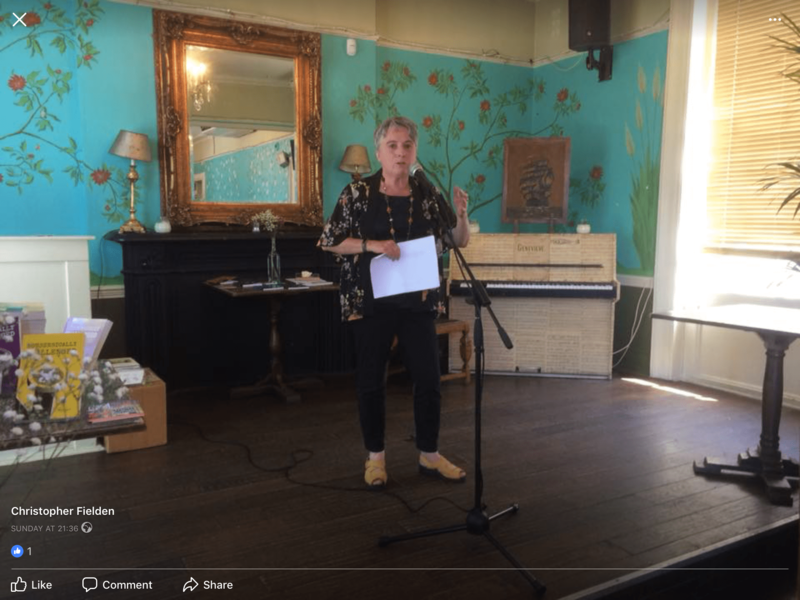 Reading my flash fiction at Christopher Fielden’s charity anthology launch in London. May is looking great for flash fiction and related events. First up -Friday May 4th at St James’ Wine Vaults Bristol, 7.30 -9.30 pm. 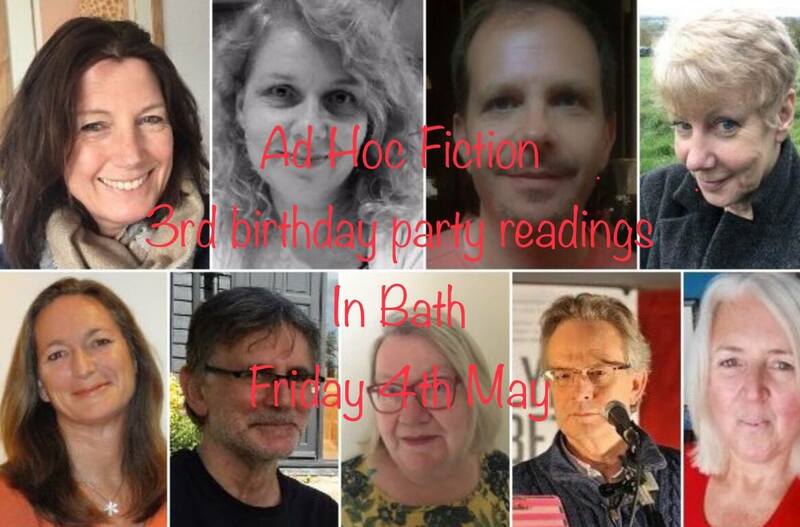 I’ve organised an evening of readings for Ad Hoc Fiction’s third birthday party with ten or eleven writers reading their Ad Hoc Fiction wins. One of these writers is Louise Mangos, who is coming all the way from Switzerland. 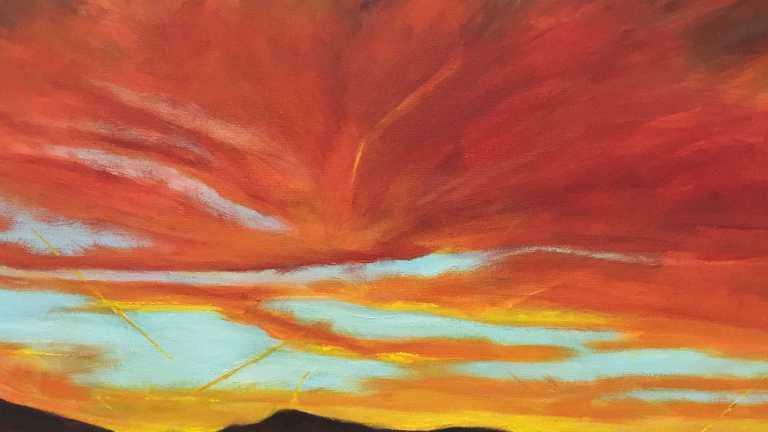 She’s illustrated all three wins and her picture here goes with her story, ‘Heat’. Free entry, free wine and free birthday cake. Do come. On May 16th there’s a reception in Bath for finalists of the 2018 Creative Bath Awards. 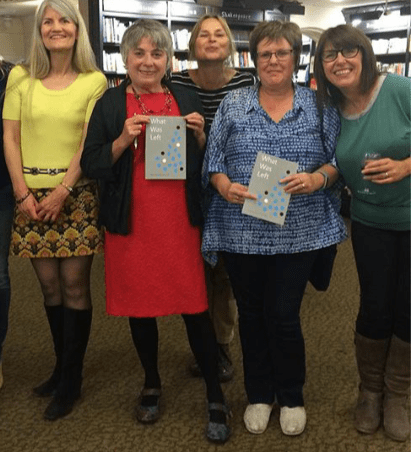 Bath Flash Fiction Award is a finalist in the category of Publisher for the anthologies, pictured here, published by Ad Hoc Fiction in 2017. You can buy them all at bookshop.adhocfiction.com Or if you’re in Bath, buy from Toppings bookshop and Mr B’s Emporium of Reading Delights. I applied for these awards at the eleventh hour and am thrilled to be a finalist. May 18th- 19th is the Saboteur Awards weekend. These prestigious awards happen yearly and initially, they ask for nominations to create a long list and then afterwards, further voting for the best of writing and performing in several categories. Charmaine Wilkerson’s wonderful novella-in-flash ‘How To Make A Window Snake’, in one of the four anthologies published by Ad Hoc Fiction last year, is short-listed in the novella category. I’m off to London for the day to hear the outcome at the Awards announcements on the Saturday evening and hoping that she’ll win.Vote for her by the May 9th deadline. 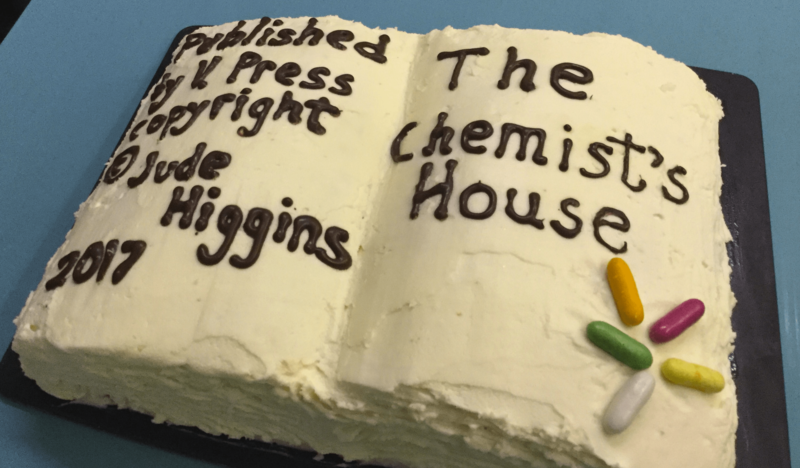 I was also very pleased that my own chapbook, The Chemist’s House was longlisted for the Saboteur Awards short story collections category awards, and another Bath Flash Fiction anthology, ‘The Lobsters Run Free’ was long listed in the anthology category. I love good definitions of flash fiction. 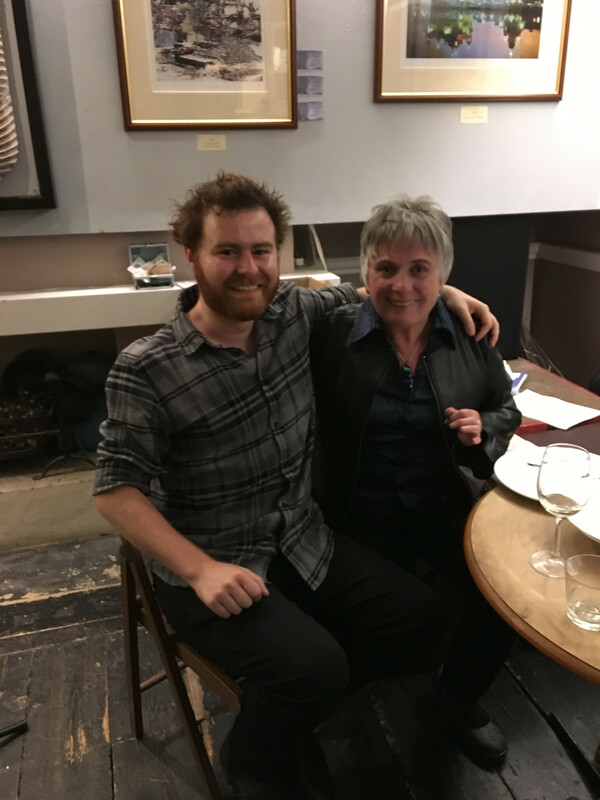 There’s some marvellous ones listed in the back of Flash Fiction International, the anthology of world-wide writing edited by Robert Shapard, James Thomas and Christopher Merrill, recently reviewed by Santino Prinzi at bathflashfictionaward.com. But the definitions below also capture the essence of the form really well. They’re from a great blog post by the Netherlands based author, Richard de Nooy, who has won the micro-fiction contest adhocfiction.com twice, most recently last week. His winning stories are linked in his blog. And Emily’s response is .”That’s what’s great about short short fiction: it can be anything from impressionistic sweep to microscopic focus“. Read the whole of Richard’s blog here. I’m excited that the Bath Flash Fiction anthology, volume one is at the printers. 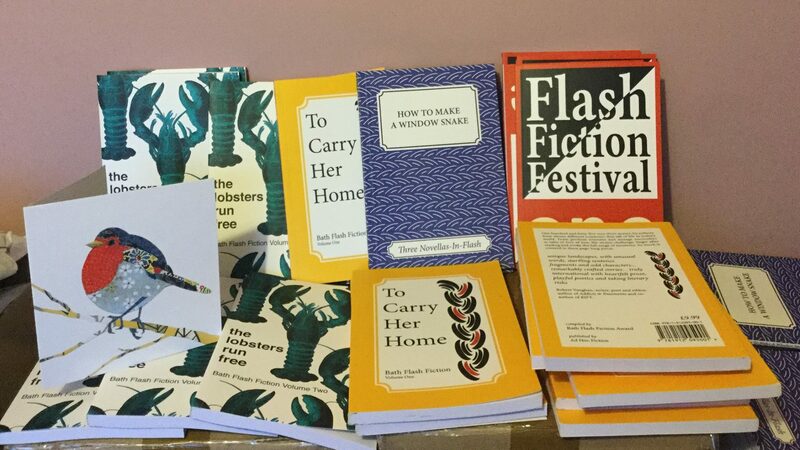 There’s a hundred and forty five pieces from eleven different countries drawn from the first four rounds of the Bath Flash Fiction Award. And those stories fit the definition of flash fiction above very well. They linger, they resonate. You have to go back to read slowly. There are sweeps of life, or minute foci. I can’t wait to see what the book-in-the-hand looks like when it’s back from the printers in a couple of week’s time.